The TET2000 Series Titanium Efficient Power Supplies are offered in TET2000-12-086NA and TET2000-12-086RA models with active current sharing or analog bus and full digital controls. The devices come in 86 x 40 x 195 mm dimensions and deliver a power density of 51 W/in³. The units are suitable for services such as multi-access edge (MEC) computing networks, enterprise edge computing, cloud services and virtualized applications. The power supplies convert standard AC mains power or high voltage DC bus voltage to an output of 12 VDC with PFC. 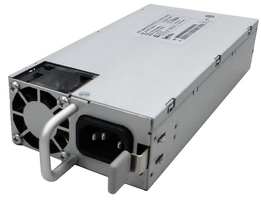 Santa Clara, CA [January 4, 2019] Bel Power Solutions and Protection, a Bel group company (NASDAQ: BELFA and BELFB) and premier global manufacturer of power management devices, today announced the TET2000 Series, 2100 W AC-DC power supplies that provide a 12 VDC power source with Titanium efficiency for servers, storage and switches in a compact form factor. The TET2000 Series delivers a power density of 51 W/in³ and meets 80 Plus Titanium efficiency. Both models incorporate resonant-soft-switching technology and interleaved power trains to reduce component stresses, providing increased system reliability and very high efficiency. An always-on +12 V 24 W standby output is provided and I²C communication is up to 400 kHz. Innovations incorporated into the TET2000 Series are currently pending patents. The TET2000 Series meets international safety standards and displays the CE-Mark for the European Low Voltage Directive (LVD). The TET2000-12-086NA is available from Digi-Key, Mouser, Arrow and Allied. For more detailed information, visit the TET2000 Series part page here or download the datasheet. The TET2000-12-086RA is available from Digi-Key, Mouser, Arrow and Allied. For more detailed information, visit the TET2000 Series part page here or download the datasheet. Samples of either TET2000 Series (normal and reverse airflow) are available upon request from your sales representative. For more detailed information, visit the TET2000 Series product page here or download the datasheet. Bel (www.belfuse.com) designs, manufactures and markets a broad array of products that power, protect and connect electronic circuits. These products are primarily used in the networking, telecommunications, computing, military, aerospace, transportation and broadcasting industries. Bel’s product groups include Magnetic Solutions (integrated connector modules, power transformers, power inductors and discrete components), Power Solutions and Protection (front-end, boardmount and industrial power products, module products and circuit protection), and Connectivity Solutions (expanded beam fiber optic, copper-based, RF and RJ connectors and cable assemblies). The Company operates facilities around the world.